Looks like we are not quite done yet! You can understand why CI moved to KI, but it sure wold be nice for it to return to it's glory days. Fortunately, at 49.2 feet, most of the park should be fine. Flood stage is 52', although the filter building starts flooding at 47'. It has to get up to nearly 54 or 55' to start impacting the rides office/administration building. Hopefully things start to dry out here and we can get several days without rain. I know that my backyard has been a swampy mess for weeks now. Yes Coney is Special, a dark ride n a Coaster would Rock. Bring back the Haunted House! “Welcome to the house of the dead.” I distinctly remember the booming voice and the crazy organ music. They surely have the blueprints hanging around somewhere. This was a walk through or a ride? Then they had, the cave, plus everyones favorite, the Lost River. You actually rode through it In Cars similar to the antique taxis at Ki. It was very similar to a Disney Ride. I think the cars were made by ArrowDynamics. I also remember The Bat Cave ride. (Showing my age now) I had to have been 2 or 3 then. I remember riding into the cave and seeing a big bat somewhere near the middle then ending the ride with mannequins of Batman and Robbin... lol. I rode Lost River too but I couldn’t tell you anything about what was inside other than hearing people in boats talking as you floated past them in the dark. Wonder with all the Extra Money Coney is making From Cristmas to the new Ferris wheel? Will they add a dark ride, a log flume, a Wooden Coaster. The Park that never gives up. Any thoughts rumors for 19 n beyond. At this point, I have not heard anything for 2019 or beyond mentioned this season. There’s a weak rumor that Coney will bring back its flyers. Unknown if it’s old or new set. W a lost river n all. To to 2019 at Coney the Park that keeps on keeping on. The Mother park that Spawned Kings Island. I haven`t rally heard anything about next season at Coney. What I have heard is just minor improvements, and no new rides for next season. Minor improvements are just as good as anything, and not all that surprising considering the number of improvements made this season. 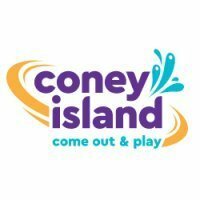 To the continued greatness of Coney, just hope they continue to add, would love to see a wooden Coaster, or a Dark ride , 2 rides that seem big for Coney but would harken back to its heyday and continue it's new path trailblazing into the future. As I previously stated, do not look for anything big to be added for next season. Just minor park improvements.